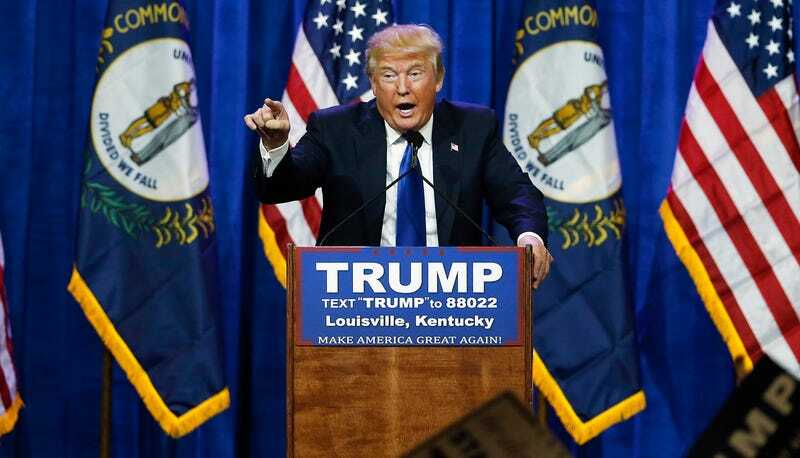 On Friday, U.S. District Judge for the West District of Kentucky David J. Hale ruled that Donald Trump may have incited violence against three protesters during a March 2016 campaign rally in Louisville when he urged the crowd to “get ‘em out of here,” the Courier-Journal reports. Henry Brousseau, Kashiya Nwanguma and Molly Shah are seeking unspecified damages for allegedly sustaining injuries from a few rally-goers whom Trump riled up. The lawsuit names three defendant other than Trump, including Matthew Heimbach, a leader in the white supremacist group Traditionalist Youth Network. Hale dismissed the protesters’ claim that Trump was vicariously liable for the audience members’ actions on the grounds that they were not employed by Trump or his campaign, the Courier-Journal reports. The case was referred to Federal Judge H. Brent Brennenstuhl, who will arrange further litigation and any potential settlements.